Your hard work and generosity has enabled us to raise R49500 in the name of the Peninsula School Feeding Association. 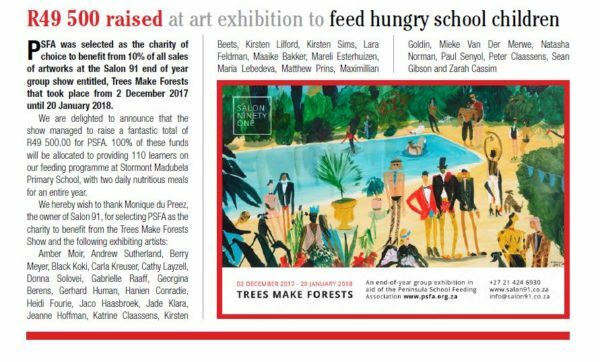 The funds raised from Trees Make Forests will enable the PSFA to provide 110 learners affected by poverty that attend Stormont Madubela Primary in Nyanga, with two daily nutritious meals for an entire year! This goes to show that we can all come together to make a difference like trees becoming a forest.